The dark art of piton craft has faded into obscurity for the vast majority of climbers. Because of the propensity to damage and alter the rock when driving a piton, forward thinking climbers started a movement in the 1970’s away from such destructive forms of protection and towards “clean” alternatives. 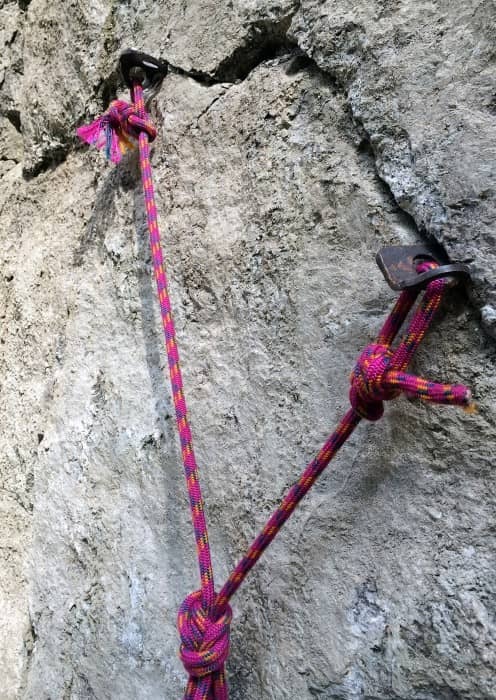 This has evolved to the point where today it’s unthinkable to approach any popular crag or big wall with a hammer and rack of pitons and most climbers have only a passing familiarity with this equipment. Side-by-side with BD’s Yosemite hammer the AustriAlpin Wall Hammer looks a bit like a miniature mountaineering axe. So why review a piton hammer when this type of equipment is outdated and frowned upon? For two reasons: first, many of today’s popular multi-pitch climbs (depending on the area) were put up by first ascensionists that used pitons. This has left us a legacy of hardware that is still in place, protecting sections of climbs where modern clean pro may not cut it. Over time these potentially critical pieces of protection can become loose and should be tested to determine if they need to be re-driven or replaced. The only way to test these heritage pitons is to hit them with a hammer. The second reason, for those first ascensionists, serious alpine climbers, mixed climbers and other adventure climbers who are going into remote or less travelled areas. These pioneers still require secure placements where modern clean gear doesn’t work very well and where no bolts have been installed. A piton rap anchor in rock that would be hard to protect with clean gear. I’ve had difficulty finding a light (ish) piton hammer with the right features. A good heft is great if you’re driving pins all day but not if you’re carrying the hammer for occasional use only, to test a critical piton on an old trade route or to add security to a station on a remote alpine rock climb. My hammer spends most of its time in my pack so I like something that is as light as possible but still heavy enough to effectively drive a piton. I recently came across the AustriAlpin Wall Hammer and thought it deserved a detailed look. Well let’s get to the review! The hammer weighs in at 514g (slightly less than the advertised 520g) and is 35cm long. This is about 25% lighter than big-wall production hammers which typically weigh in at about 700g and is the lightest piton hammer I’ve found. Despite being fairly light it’s still very effective at driving pitons even when compared head to head with the BD Yosemite hammer. It only requires an extra swing or two to drive a pin home but seems to damage the heads of the pitons a bit less, which makes sense as slightly less energy is being transferred into the piton with each swing. 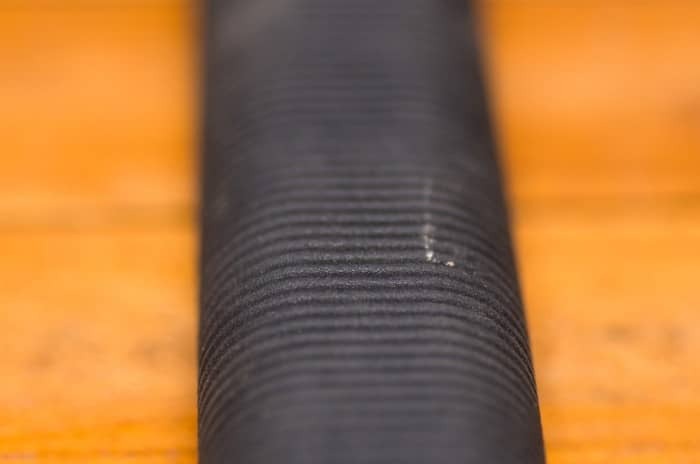 The shaft of the Wall Hammer is covered with a textured rubber sleeve that feels secure in the hand when wet or dry and reduces vibration. The handle is covered in a rubber sleeve from top to bottom. The striking face of the hammer is a nice size (3cm diameter) and so is easy to use. The face is secured to the head of the hammer by a large bolt which allows it to be replaced. If you’re driving enough pitons to wear out the striking face of a hammer you may want something a bit heavier though! the down side is that the bolt has the tendancy to get a little loose which gives that hammer a strange feel when pounding on a pin. 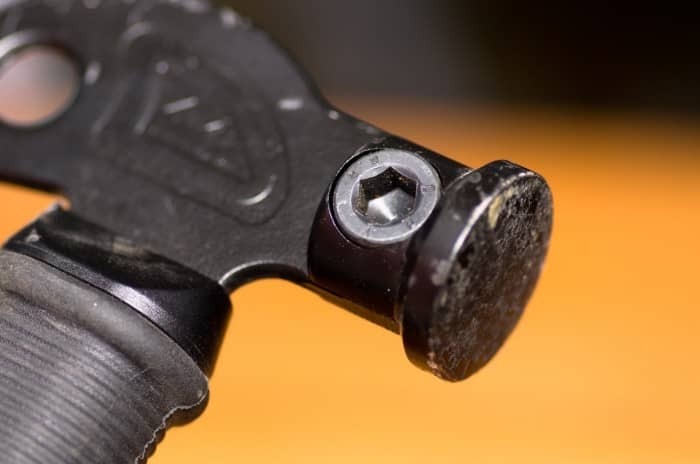 The face of the hammer can be removed (tightened) with a hex wrench / allen key. 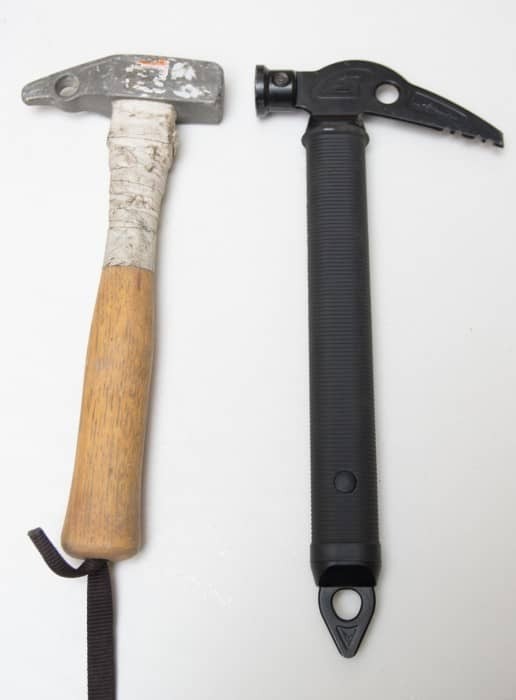 The hammer also has a rounded top and a short pick, like an ice axe, but with notches instead of teeth. This combination of a rounded top and notched pick works well to remove pitons much like a claw hammer removes nails. There is also a carabiner hole for a funkness device. The stubby ice axe style pic has notches to aid in the removal of pitons. 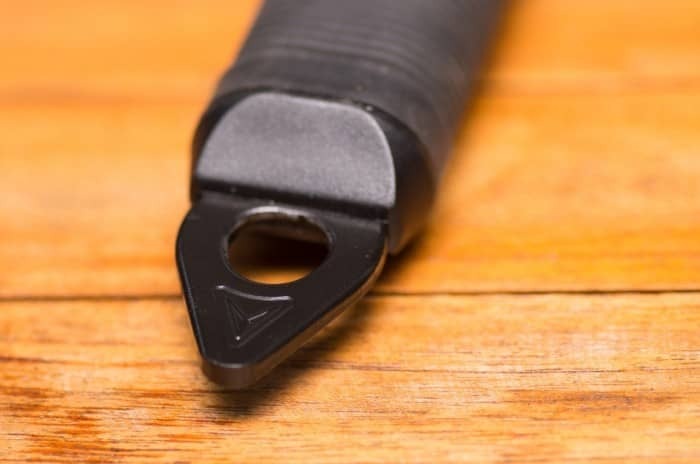 The bottom of the hammer has a hole to attach a tether or clip directly to with a carabiner allowing it to be hung from your harness by either the top or bottom. The mountaineering axe style spike at the handle has a hole for a tether or to attach the hammer to a harness. Pros: Light, effective at installing and removing pitons. Overall: These guys nailed it, this is a great piton hammer; effective, functional and light. Hammer photos by Bonnie McIntyre. 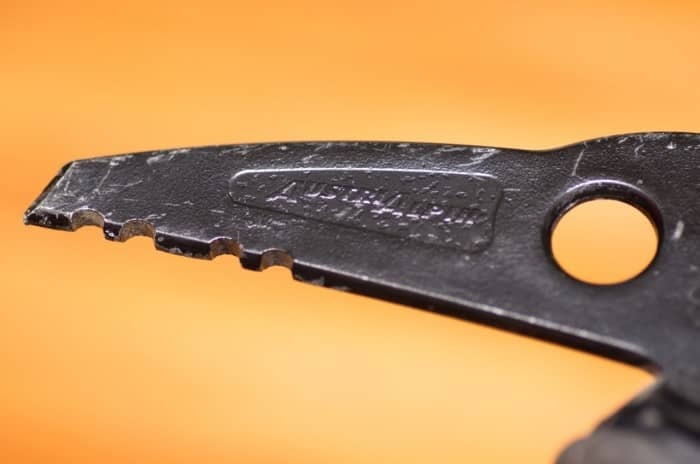 AustriAlpin provided a sample of the Wall Hammer, this in no way influences the review.